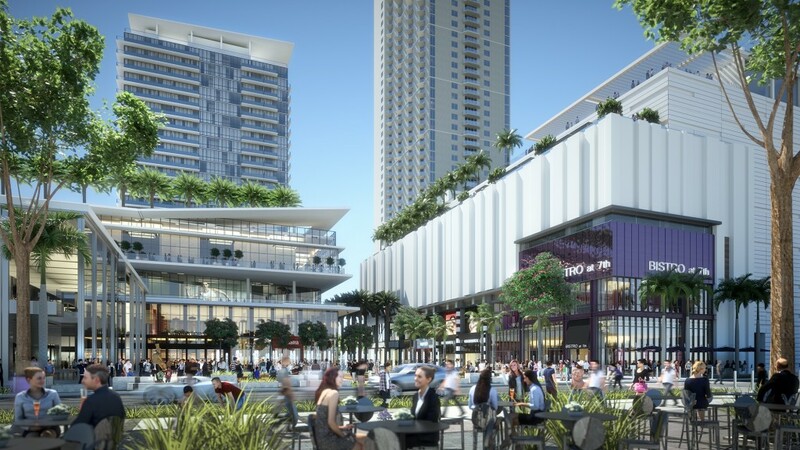 Miami Worldcenter’s leasing agent has detailed plans to fill 300,000 square feet of retail space at the $4 billion project, in an interview with Costar. 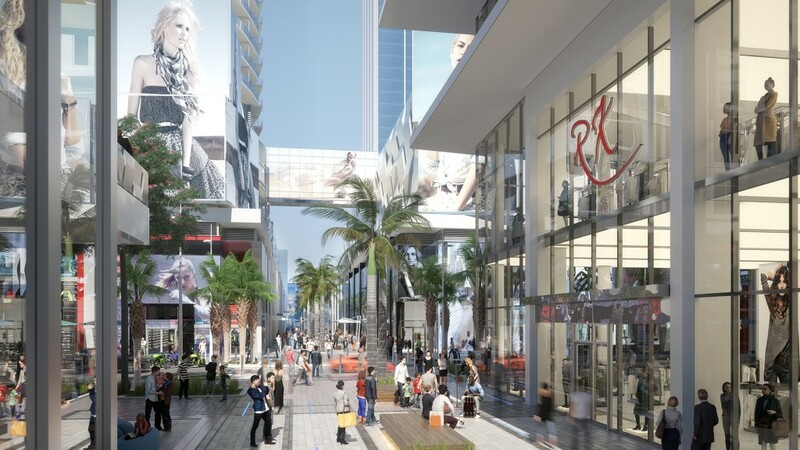 The retail will be anchored by a “restaurant row” and a movie theater. In addition to local restaurants and cafes, there will be “clubstaurants” that start as quiet restaurants during the day and become more like clubs at night. The movie theater will be large, high end, and “very attractive and accessible,” the broker said. 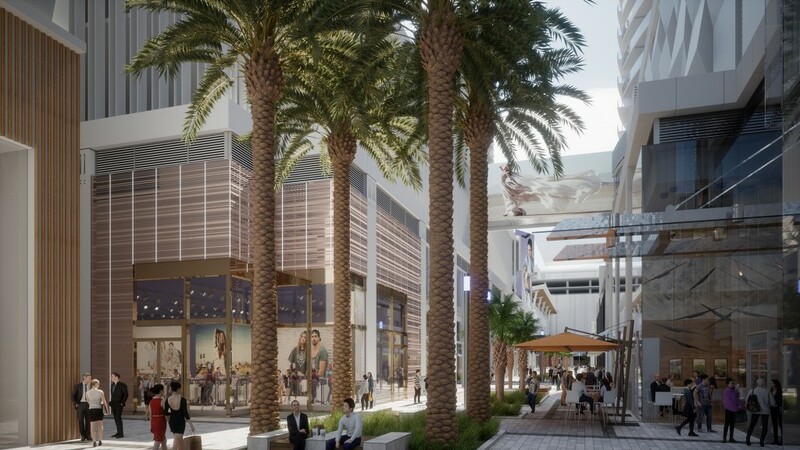 Retail space at the project will be a combination of uses, catering to locals, families, and tourists. 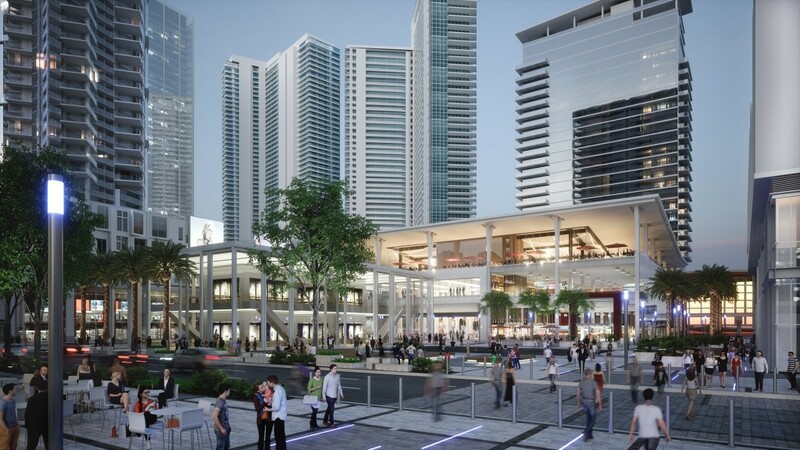 The first retail spaces are already under construction, with delivery expected in less than a year. I love those types. Valentinos in the grove, back in the early 2000’s comes to mind. Yes, I’m that old. lol. and into a full fledged club. literally night and day bi polar. I had some great nights there. Also, can we get a Lucky Strike? Dave & Buster? Maybe an indoor ice skating rink? Something we don’t have in the city center would be nice!!!! Dave and Busters would be perfect with all the new families moving into the area. Clubstaurants?? Just how many Blue Martinis can one cougar hunt at? Think more like Komodo and Tao from Las Vegas and NYC. 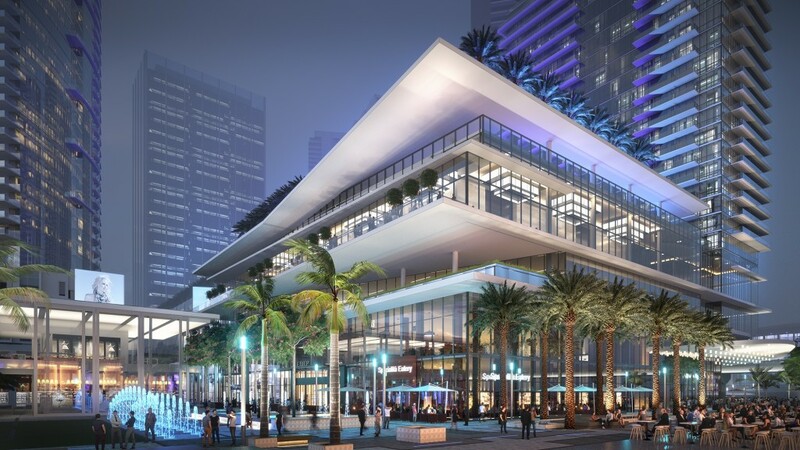 Yes.. from the renderings, this place just screams “clubland” when the sun goes down. E11even and Club Space are just a stone’s throw away. And they’ll be still open after the “clubstaurants” close. YASSSS!!! Can we get an AMC or Regal? I don’t need a full service bar and a restaurant in my move theater. I went home a few weeks ago and was literally dumbstruck…movies there still cost $8 a ticket!!!! Can you believe that? They seem to be desperately looking for anchors because proposing another movie theater looks like they are running out of ideas. I guess the rush for food halls will soon be a thing of the past due to the many options and half way execution on most of them. 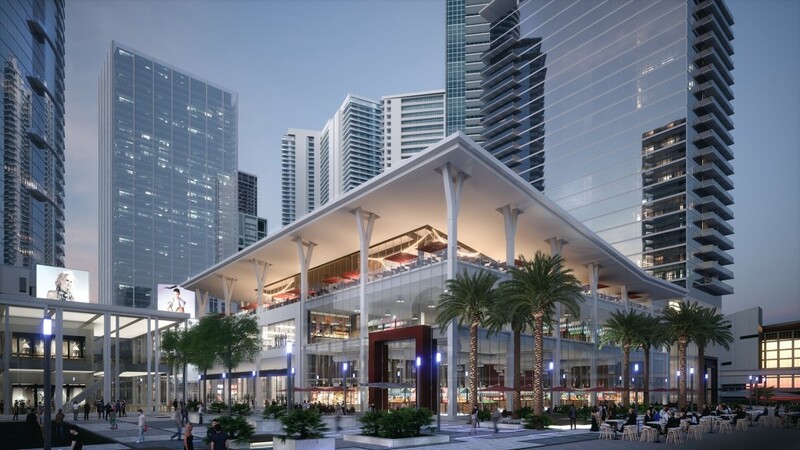 Why not a bowling alley or seriously bring Eataly to Miami; I am sure it will kick La Centrale’s behind or even Mercado Little Spain of Jose Andres. 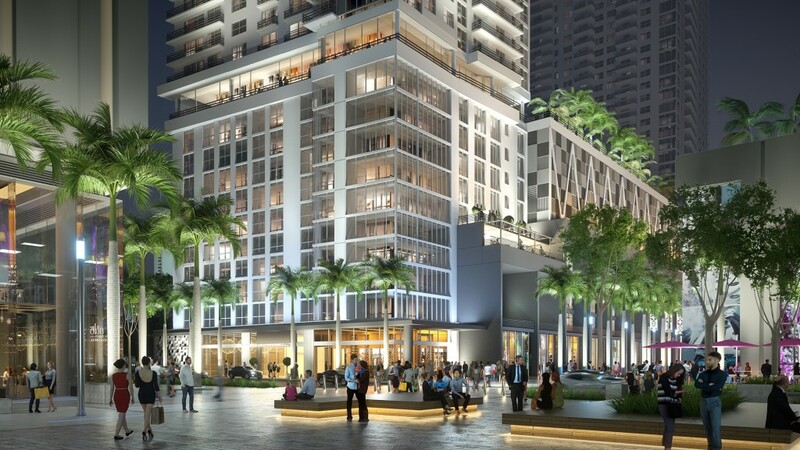 Yeah well the nice hotel in the renderings won’t be built. Instead we got CitizenMehh! An upscale Regal will be nice. Why everything need to be upscale?! Why not a regular movie theatre? Sometimes, all I want is to watch a good movie. Go to Silverspot for what’s regular. I hope they will have some live music spots like BB Kings. Comedy club would be cool too. Most of the World Center should be ready for the 2020 Superbowl. It’ll be interesting where exactly this movie theater positions itself within the market. Hard to imagine with CMX and SilverSpot within a mile or so, that there’s a lot of room for yet another luxury movie theater. We shall see. I bet there are plenty of seats available Monday – Thursday. A theater is not a wise play here. It’s a single purpose building that is hard to convert if it doesn’t work out. Except that it’s in a part of downtown where there has been nothing for decades. How bout a Max Brenner restaurant? Movie theaters will be dead one decade from now smh. Just like TV killed them, then color TV, then cable, then HBO, then PPV, then Blockbuster, then HD TVs, then Netflix, etc. etc. Until you have a 70′ screen at home theaters will exist. Bingo! I purchased a 75 inch TV back in November. At first, I was reluctant to buy it, but now, I wish I hadn’t been so hesitant. One of the best purchases I’ve ever had in my life. And you know what.. I wish it was 82 inches. This definitely does not sound good. i don’t see a Burger King in the renderings, where’s walmart? Not even a Dollar General or Navarro’s… what a sham! Beautiful project, however, another movie theater for this area makes no sense. Yeag cineobistro and silverspot are near by and silverspot looks empty. and their food is horrible. 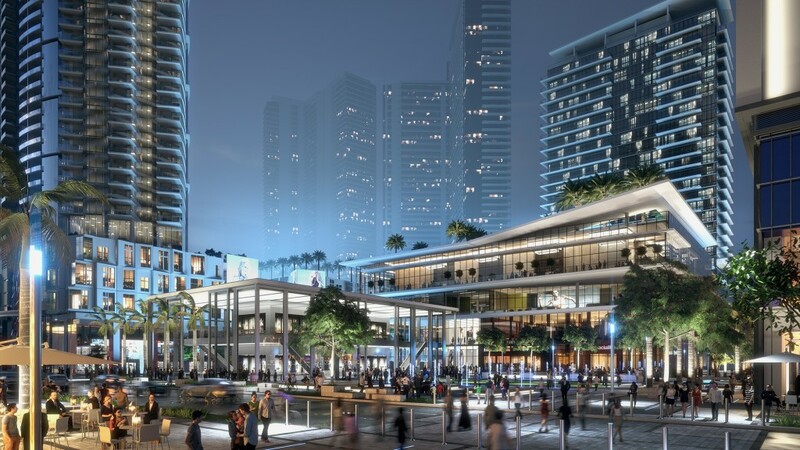 MWC is interdependent on two projects, Skyrise and the convention hotel. Without these two, they have no chance of success. Its not dependent on skyrise, its more dependent on the convention/hotel and events/games at the AAA. 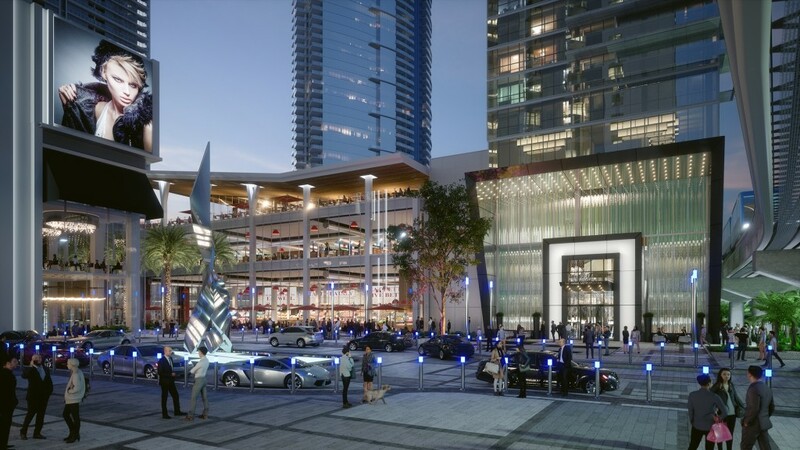 Skyrise will be the biggest catalyst for drawing crowds downtown. People will go through here to get to Skyrise. How can it not be dependent? “quiet restaurants during the day and become more like clubs at night” Can we just get a dedicated bar or club. LOL! Another over-priced movie theater for downtown. Can the market really support this? Even so, such a let down vs the previous retail plans. LOL — really? 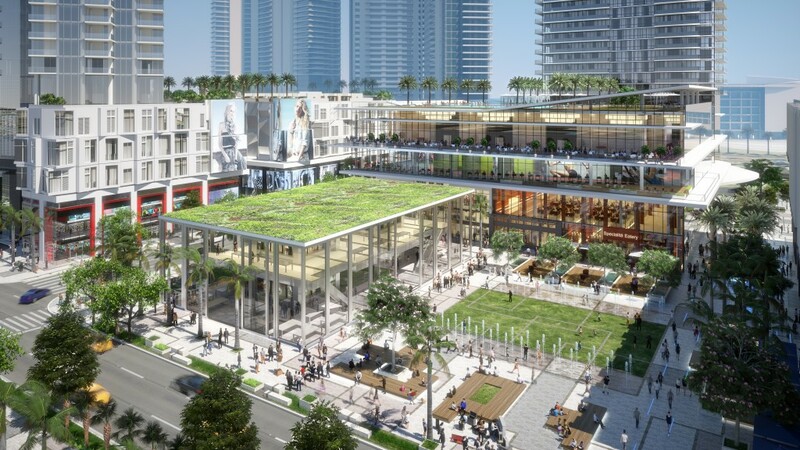 Who wants a enclosed mall anchored by Macy’s…..place looks very cool IMHO. silver spot is not to bad in terms of price on Tuesdays. I had dinner and a movie for $30. Miami used to have more than three movie theaters in the 1960s. It’s competition of smaller boutique theaters. 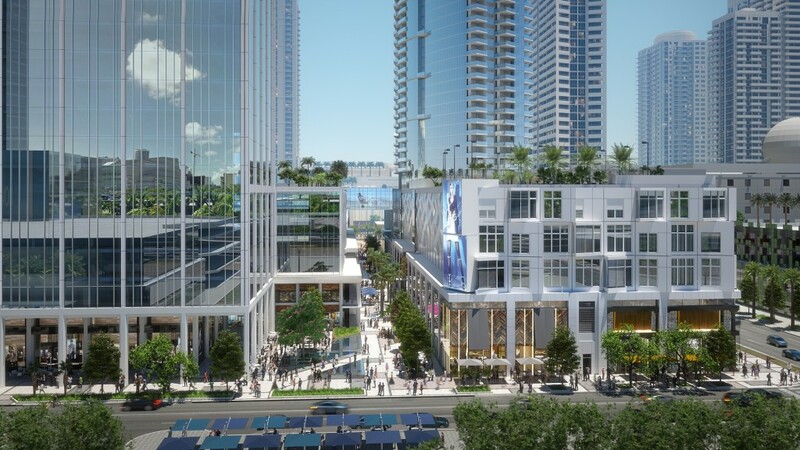 Another disappointment from Miami World Center. 99% of movies being released not worth $5 price of admission, let alone $30. New downtown theatres already losing money. Most films will be released thru streaming services in near future, so I don’t see the upside. People still like going to the movie theaters to get out of the house with friends and/or date and to see who else they see…among many other things. I’m in my early 40’s and have 5 streaming services, but I like the theatre -getting out of my house – experience as well. It’s a nice option. Same here. Pay for several streaming services but still like to go to a theater at least once a month. …..that’s OK for 14 year olds in Nebraska. For 40somethings in Miami, not so much. Then you really no nothing then. I like movie theatres and so do a lot of adults of all ages who like to get out. You can stay in Nebraska watching movies in your parent’s basement. That last part. Lol. ?? Well I’m over 40. Does that mean I can’t go to the movies? Attendance in theaters was +6.7% last year and the US did $11.9B in ticket sales. The Miami/Ft Lauderdale MSA theaters sold $163.5M in tickets alone last year (does not inc. food & drink).